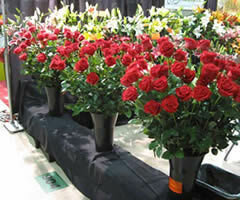 Let me share the pictures of roses I took at the 2011 World Flower Expo in Miami. 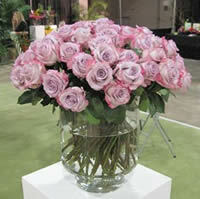 Lucky You. 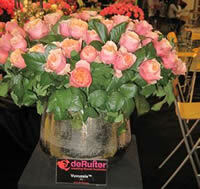 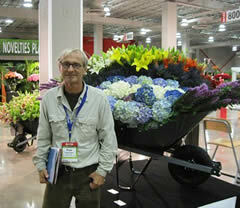 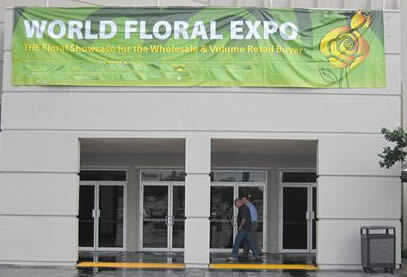 The major South and central America flower exporters groups to USA and the world were present at this event. 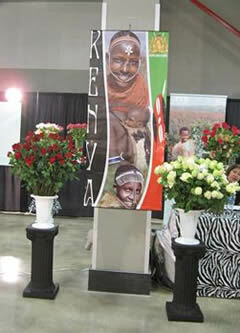 For the first time Africa introduced many new floral products as well preserved flower and foliages. 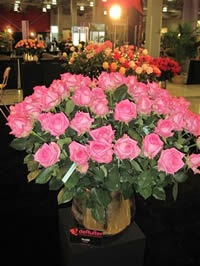 The event brought wholesale buyers from all over USA to meet the rose importers. 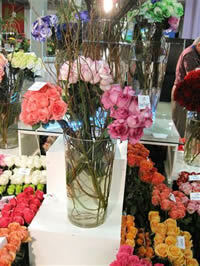 Many new rose varieties were introduced, especially garden roses. 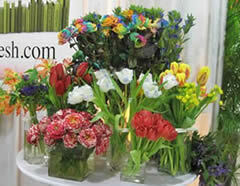 As with any new floral product, quantities are limited. 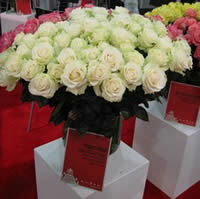 Because of the different way we perceive colors, it is better to order the roses by their type, or given name. 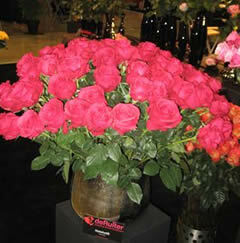 In the world of rose colors, there is the black magic rose, a very unique rose that opens up revealing a velvet look. 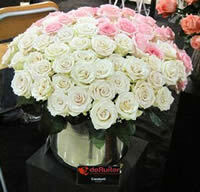 Very luscious. 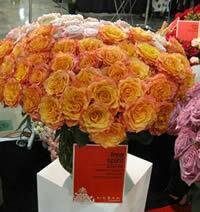 There are orange roses like sambo, desert sand roses like sahara. 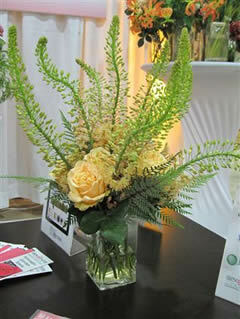 Yellow roses like golden times. 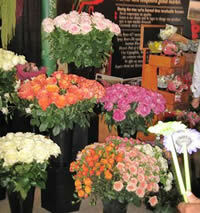 Whatever color they are, they are a marvell of nature's palette choice. 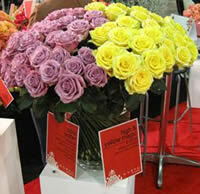 Stem dyed or colored roses are also new in the market. 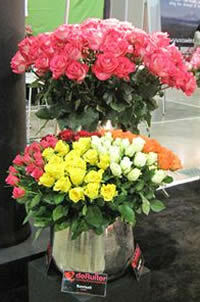 You can find raimbow roses and any color combination you desire. 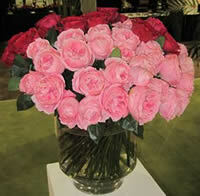 I personally like the red roses dipped in gold glitter. 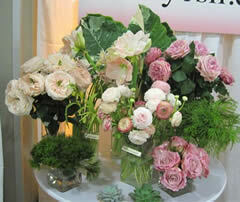 Very flashy. 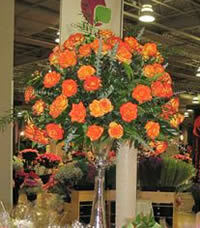 And off course, Spray roses are also available in many new colors. 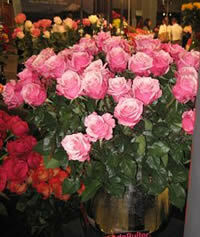 The Rose, is the most popular flower in USA and the development of new long lasting, fragrant, rose hybrids continues.